Leaks can occur around sinks and faucets among many other spots in your plumbing setup. Such leaks can be dangerous in that they can cause damages to your walls, ceilings and other surfaces. This comes from the excess water causing such surfaces to become weak. Meanwhile, a leak can cause your water bill to go up in value. This comes as you are using more water than necessary as the leaking water will be lost. You would have to use more water at a given time just to make it flow properly in your home. There’s also the threat of mold developing in your property because of a leak. Water that doesn’t clear out properly due to a leak can promote the growth of mold in any spot in your property. This can cause the air in your home to become dangerous and harmful. The mold can spread all around your property and damage floors, walls and other surfaces. This could be rather dangerous unless you get it all taken care of as soon as possible. This can cause the air in your home to become dangerous and harmful. The mold can spread all around your property and damage floors, walls and other surfaces. This could be rather dangerous unless you get it all taken care of as soon as possible. The threats that come with a leak can be dangerous. The worst part is that you might have a leak in your home and you don’t even know it. While leaks can be noticeable through discoloration around walls and other surfaces in your Dallas-area home or from a dripping faucet among other visible things, there are times when a leak might be hiding in some other spot in your home. In fact, sometimes a lack of water pressure in your home might be a sign of a leak. This comes as the water moving in your home is not going through enough proper spaces. You need to contact leak detection services in Dallas, TX as soon as possible if you ever see any signs of a possible leak. 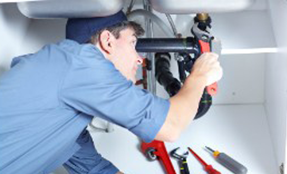 A detection service can review the plumbing setup in your home and analyze how water is flowing. This can be done to figure out any specific spots where the water in a home might be leaking. This should be done as a means of making it easier for you to get any leaks in your home corrected even if you can’t reach them. Emergency services are available twenty-four hours a day to help you with taking care of leaks. This is especially useful if your home has suffered any kind of damage from a flood or other significant storm. You can always contact a service if you’re trying to renovate your home in any fashion. Remember that leaks in your home can be dangerous if not treated right. Contacting a leak detection service in Dallas, TX is always a good idea to consider. It is all about ensuring that any possible leaks in your home can be corrected before any serious damages could possibly occur in your home.